Home Chocolate and Acid Reflux: Can Chocolate Cause GERD? CHOCOLATE!!! Do I have your attention? If you’re anything like me, I do. I love chocolate! Luckily over the years, I’ve gravitated to eating dark chocolate and cacao, varieties considered to be superfoods. They’re full of antioxidants, vitamins, and minerals. Eaten in moderation dark chocolate and cacao are considered healthy… if you pick the right products. BUT there are health precautions concerning chocolate especially for those prone to acid reflux. 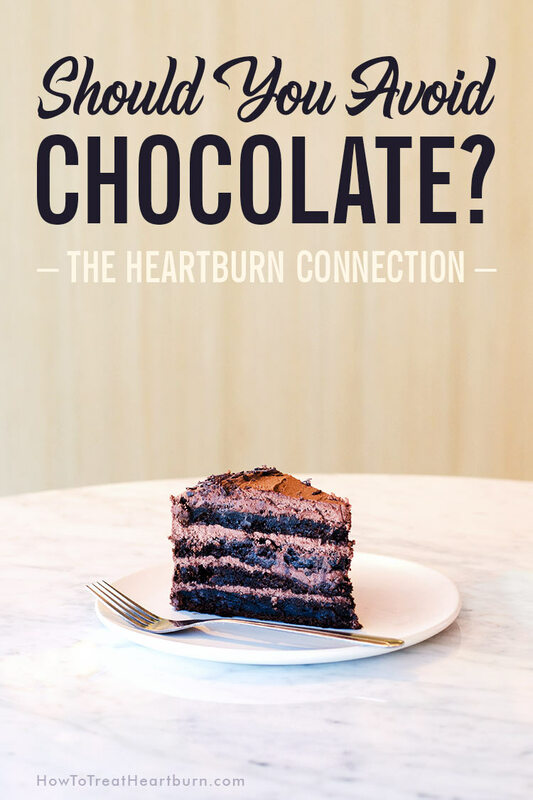 Is chocolate causing your heartburn? I’m sorry to say it may be. 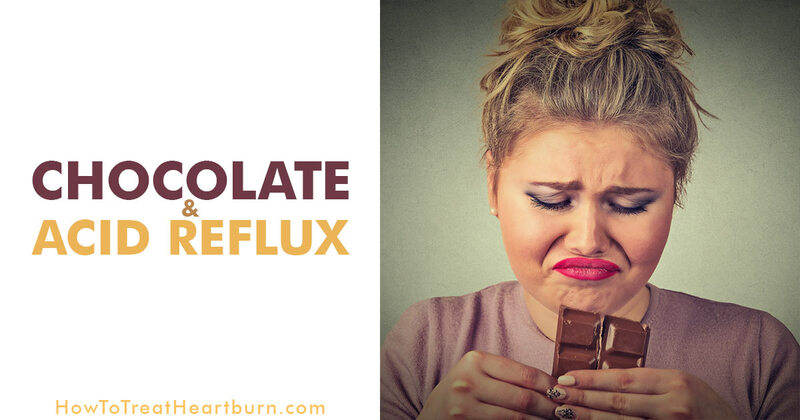 Chocolate is one of the heartburn trigger foods that may cause problems for those with chronic acid reflux otherwise known as gastroesophageal reflux disease (GERD). How Does Chocolate Cause Acid Reflux? Essentially chocolate can lead to a compromised lower esophageal sphincter (LES).1 The LES is a valve at the base of the esophagus that closes to keep contents in the stomach and out of the esophagus. 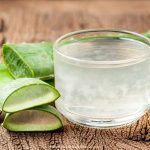 When the LES is weakened in some way, stomach acid can back up (reflux) into the esophagus to cause a number of acid reflux symptoms including the irritation we know as heartburn. Chocolate is high in cocoa, fat, caffeine, and theobromine. Each of these contributes to acid reflux. There are also health issues caused by eating chocolate that triggers acid reflux. But what if I told you there was also a component of chocolate that could reduce the pain of heartburn in some people? 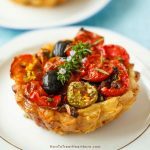 After all, we are all different and respond differently to foods. There is debate as to whether stress causes acid reflux. What is known for sure is that increased stress results in heightened senses and thusly increases the sensitivity to the pain of heartburn. Chocolate contains fat in varying amounts. Higher the fat content greater the risk of experiencing acid reflux. Fatty foods slow the digestive process. The stomach empties slower when digesting fats. This digestive delay can lead to added pressure on the LES. Fatty foods can also cause an increase in stomach acid production. When the pressure on the LES is great enough, stomach acid will reflux into the esophagus and cause heartburn. Chocolate is made from cocoa powder. Which is ground from roasted cocoa beans, the seed of the Theobroma cacao tree. Cocoa powder is acidic. 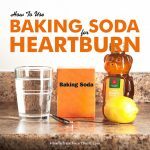 If reflux occurs, the increased acid can increase the irritation of heartburn. The following list of side effects from eating chocolate can typically be avoided by limiting consumption. Gas, bloating, constipation, and weight gain all increase abdominal pressure. Increased abdominal pressure weakens the closure of the LES allowing acid to reflux. Milk Chocolate, Dark Chocolate, or White Chocolate? High quality, organic dark chocolate containing 70% or higher cocoa content is considered healthiest from a nutrition standpoint. 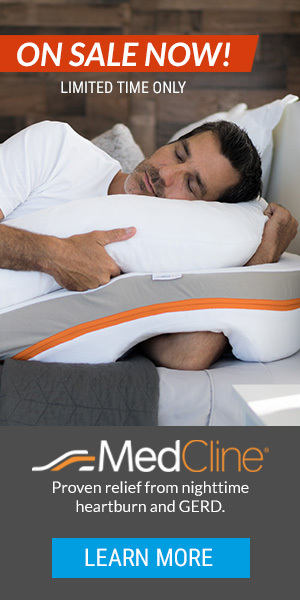 But what form is best for people who regularly experience acid reflux? Milk chocolate, dark chocolate, or white chocolate? Well, the best option may be to avoid chocolate altogether. This is the suggestion provided by many researchers and doctors alike. That said, people can experience acid reflux for different reasons. Different foods, medications, lifestyles, and health conditions may cause acid reflux in one person but not another. You may find that chocolate isn’t a food that triggers your heartburn, or that you can eat chocolate in small amounts, or you can eat chocolate if other heartburn trigger foods and situations are avoided around the time of consumption. Maybe try an alternative to chocolate like carob. Carob tastes similar but is lower in fat and free of caffeine and theobromine. You will have to find out by trial and error. If you don’t want to eliminate chocolate from your diet, experiment to see if the fat content or the level of caffeine and theobromine cause you greater issue with acid reflux and heartburn. Dark chocolate is lower in fat but has higher levels of caffeine and theobromine. Milk chocolate and white chocolate have higher fat content. White chocolate doesn’t contain cocoa solids and therefore contains only trace amounts of caffeine and theobromine. Additionally, if you’re buying chocolate with other ingredients like nuts or fruit, consider if these other ingredients might be triggering your acid reflux. 1) Murphy, DW, & Castell, DO. “Chocolate and heartburn: evidence of increased esophageal acid exposure after chocolate ingestion.” National Center for Biotechnology Information, U.S. National Library of Medicine, The American Journal of Gastroenterology, June, 1988. 2) Monteiro, JP, Alves, MG, Oliveira, PF, & Silva, BM5. “Structure-Bioactivity Relationships of Methylxanthines: Trying to Make Sense of All the Promises and the Drawbacks.” National Center for Biotechnology Information, U.S. National Library of Medicine, Molecules, July 27, 2016. 3) He-Fei, Liu, Jun-Feng , Zhang, KE, & Yong Feng. “Expression of serotonin receptors in human lower esophageal sphincter.” National Center for Biotechnology Information, U.S. National Library of Medicine, Experimental and Therapeutic Medicine Journal, January, 2015. 4) B.H. Kim, Han-chun Lien, Wei Ming Sun, Mark McDermott, & Chung Owyang. “Blockage of 5HT3 pathways reduces gastroesophageal reflux (GER) induced by intraduodenal chocolate.” Gastroenterology, April 2000, Volume 118, Issue 4, Part 1, Page A884. 5) Kara Rogers. “Norepinephrine.” Encyclopædia Britannica, (n.d.). 6) Kathrin Ingrid Liszt, Jakob Peter Ley, Barbara Lieder, Maik Behrens, Verena Stöger, Angelika Reiner, Christina Maria Hochkogler, Elke Köck, Alessandro Marchiori, Joachim Hans, Sabine Widder, Gerhard Krammer, Gareth John Sanger, Mark Manuel Somoza, Wolfgang Meyerho, & Veronika Somozaa. 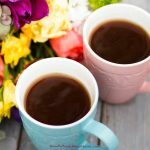 “Caffeine induces gastric acid secretion via bitter taste signaling in gastric parietal cells.” National Center for Biotechnology Information, U.S. National Library of Medicine, Proceedings of the National Academy of Sciences of the United States of America, July 25, 2015. This is an interesting study, my son has Achalasia type 2 which is where the “LES” or lower esophagus sphincter tightens due to nerves. Part of diagnosing him includes a biopsy of his esophagus to test for inflammation/allergic reaction he tested positive for Eosinophils. That being said the elimination diet is suggested to determine food allergies, I took an extra step and had him tested for food allergies on his skin. ((FOR THE RECORD I was told an internal reaction vrs external doesn’t always coincide with each other or in better words kids who can’t eat peanuts are sometimes able to touch them just fine but as soon as they hit their throat it blows up.)) The only external food allergy he had was chocolate. Everything being said, Your study seemed to me to focus on chocolate loosening the spincter causing reflux but maybe it’s possible it can also tighten it as well and cause food not to go down altogether then contract back up. Hello Lauren! Thank you for sharing your son’s experience with achalasia, eosinophils, and allergy to chocolate. Achalasia is rather rare and so is eosinophilic esophagitis. I’m glad they were able to diagnose the problems he’s having and I hope they have him on a path that’s showing promising results. It’s my understanding that most people with eosinophilic esophagitis respond very positively when on an elimination diet and many are allergic to candida which can be reduced by reducing sugar intake… Chocolate can contain mold toxins due to how the cocoa bean is harvested and processed which can cause people health problems. High-quality dark chocolate is less likely to contain these molds. I don’t know if these molds might be a factor in your son’s situation… I’ve not run across any studies where chocolate has caused a tightening or strengthening of the LES. Wishing you and your son the best of health!